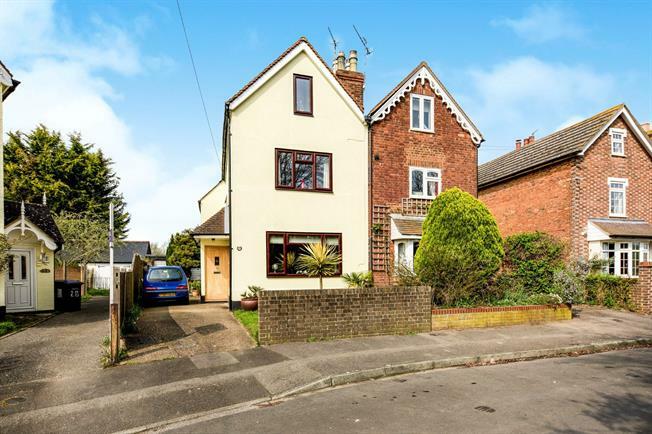 4 Bedroom Semi Detached House For Sale in Tonbridge for Guide Price £450,000. Guide Price 450,000 - 475,000 Viewings Launch Saturday 27Th April. Please Call The Sales Team To Book Your Appointment! Freeman Forman are delighted to bring to the market this well presented character four bedroom semi detached family house, situated in the village of Hadlow, near Tonbridge. The accommodation is laid out over three levels and consists of an entrance porch, bright living room, spacious dining room, modern fitted kitchen, shower room, and four generous bedrooms. The master bedroom benefits from a large en-suite bathroom. Outside, there is a garden to the front with off road parking for two cars. At the rear is a private lawn garden with garage for storage purposes, various trees and flower borders.